I am writing this from Cambodia where Charlie Shook and I have been leading in the training of about 40 pastors and leaders over the past 7 days. We have been training them to train other trainers (T4T) in establishing multiplying churches. We taught them Conversational Evangelism, how to write and share their salvation testimony and how to lead groups in Simple Church worship. Best of all, they seemed to really grasp the truth that they are trainers whose responsibility is to train others. These Cambodian believers have a vision to reach all the nearly 15 million people who live in this country with the Gospel. They realize that the current model ( the Western model) will never accomplish this. We taught them the biblical plan to go into areas where there are no believers and look for those persons of peace, find them, train them and establish multiplying groups. Among the comments we heard, the training was "easy to understand, no financial costs and easy to put into practice". This was the goal of our training; to present to them something that is reproducible by them and not dependent on outside sources. We left them with some simple steps to get started immediately. Pastor Vandy, the lead trainer here, has a plan to hold those who were trained accountable to apply what they have been taught. Many of you have been on this journey with us through your prayers. Thank you. Your Prayer missiles have been hitting the targets. MidWeek University is going on now and we've heard wonderful reports from every class! If you haven't attended yet, don't worry - it's never too late to jump in! Join us tomorrow evening for one of our four incredible classes this semester! Classes start at 6:30 PM but join us at 6 PM in the back of the Worship Center for coffee, a light snack and fellowship beforehand! We'll see you tomorrow! Mom to Mom Returns This Thursday, September 19th! Calling all moms! Join us this Thursday, September 19th from 9:30 to 11 AM in the Blue Room for a time of fellowship, inspiration, and parenting encouragement. Childcare will be provided! Sign up downstairs in the Welcome Center and come take a breather to praise God for all He's done and rejuvenate with other mothers! Moms in Prayer Returns This Friday, September 20th! Experience the joy of replacing anxiety with peace and hope when you pray scripturally and specifically for your children and schools with other moms. Moms in Prayer meets on Fridays during the school year from 8-9 AM. Join us at the Welcome/Info. breakfast this Friday, September 20th at 8:30 AM. If you're planning to attend this first Mom's in Prayer meeting, please RSVP to Trudy Pierron at gtpierron@citcom.net or (828)862-8345. She will contact you and confirm where the first meeting will be! Baby Dedication Coming Up Sunday, October 6th! Attention parents! Baby Dedication Sunday is coming up in a few weeks! If you are interested in participating, contact Breanna at (828)884-5932 or breanna@brevardcommunity.org and let her know which worship you would like to attend. Church family - come ready to celebrate with these families who are giving their children back to the Lord and trusting Him to provide, guide, and direct their lives and upbringing! What a special time to glorify God through our trust and commitment to Him! See you then! Switch Small Groups Are Back! Attention middle and high school students! Switch Small Groups are back! Join us every sunday evening from 5-7 PM as we dig into a David Platt study called "Follow Me", challenging us to really live out surrendering everything to Christ and to making Him known in the world. Invite a friend or two and come grow with us! If you have any questions contact High School Pastor, Brent at brent@brevardcommunity.org or Middle School Pastor, Brad at brad@brevardcommunity.org. CBA Women's Conference Coming Up Next Weekend, September 27th-28th! Ladies, looking for a place to refresh and renew? Make plans to join the Carolina Baptist Association Women's Conference next Friday evening, Sept. 27th from 6-9 PM and Saturday morning, Sept. 28th from 8:30-12:30 PM. The Keynote Speaker is Kimberly Sowell and the theme is "No Truth, No Freedom. Know Truth, Know Freedom." In addition to the main session, there are breakout sessions centered around a variety of topics. Tickets are $30, which includes conference, breakfast, snacks, and lunch. For more information, contact CBA at (828)693-4247. Don't forget! MidWeek University is going on now and it's never too late to jump in! Join us tomorrow evening for one of our four incredible classes this semester! Classes start at 6:30 PM but join us at 6 PM in the back of the Worship Center for coffee, a light snack and fellowship beforehand! We'll see you tomorrow! New Ladies Bible Studies Starting This Week! God will never, ever give up on you! Come explore how David's life proves this promise to be true in this new Tuesday evening bible study! Come along on a life-changing journey to get to know Jesus intimately, as though you had walked with Him during His days of earthly ministry. Attention middle and high school students! We kicked off a new, incredible year of small groups this past week! Join us every sunday evening from 5-7 PM as we dig into a David Platt study called "Follow Me", challenging us to really live out surrendering everything to Christ and to making Him known in the world. If you have any questions contact High School Pastor, Brent at brent@brevardcommunity.org or Middle School Pastor, Brad at brad@brevardcommunity.org. Mom to Mom Returns Next Thursday, September 19th! Calling all moms! Join us next Thursday, September 19th from 9:30 to 11 AM in the Blue Room for a time of fellowship, inspiration, and parenting encouragement. Childcare will be provided! Sign up downstairs in the Welcome Center and come take a breather to praise God for all He's done and rejuvenate with other mothers! Moms in Prayer Returns Next Friday, September 20th! Experience the joy of replacing anxiety with peace and hope when you pray scripturally and specifically for your children and schools with other moms. Moms in Prayer meets on Fridays during the school year from 8-9 AM in the Student Center. Join us at the Welcome/Info. breakfast next Friday, September 20th at 8:30 AM. For more information or to RSVP for the breakfast, contact Trudy Pierron at gtpierron@citcom.net or (828)862-8345 or check out www.momsinprayer.org. CBA Women's Conference Coming Up September 27th-28th! Ladies, looking for a place to refresh and renew? Make plans to join the Carolina Baptist Association Women’s Conference, Friday evening, Sept. 27th from 6pm-9pm and Saturday morning, Sept 28th from 8:30-12:30pm. The Keynote speaker is Kimberly Sowell and the theme is “No Truth, No Freedom. Know Truth, Know Freedom.” In addition to the main session there are breakout sessions centered around a variety of topics. Early bird tickets are available until Sept. 16th for $25. After Sept. 16 they will be $30. Tickets include the conference, breakfast, snacks and lunch. For more information contact Carolina Baptist Association at 828-693-4247 or cbal877@gmail com. You can also purchase tickets at ChristianHappenings.com (a 15% convenience fee applies). In a recent conversation with some college students, I asked them if they could remember a time when they didn't rely on a cell phone? Their answer was no, obviously. I don't know about you but I can remember a time when information and communication wasn't at your fingertips. Remember when you would call a friend on a phone that had a cord? If your friend didn't answer, you had to wait and call back later. No texting to ask where they are at, or why didn't they answer your call. The reality is that times have changed. Honestly things change faster than most of us can adapt too. It can become exhausting to try and keep up. I don’t know about you but in this time of fast-paced, ever shifting lives we live, the fact that God never changes and His promises are true gives me comfort. Many times during the week, I feel overwhelmed with life, but I can be assured that nothing in my circumstances catch God by surprise. He holds us and if we surrender all those circumstances to Him, He will guide us. When technologies change and life continues to move faster, trust God because He never changes. Let’s try and enjoy that fact and enjoy our relationship with the One who is the same yesterday, today and forever. Join us tomorrow evening for the second week of MidWeek University! We are offering 4 incredible classes this "semester" and we would love to have you join us for one of them! If you missed last week, don't worry! It's never to late to join in! Classes start at 6:30 PM but join us at 6 PM in the back of the Worship Center for coffee, a light snack and fellowship beforehand! We'll see you tomorrow! Men's Breakfast This Saturday, September 7th! Attention men! Make plans to attend the Men's Breakfast this Saturday, September 7th at 7:30 AM in the Student Center. Start your day off right with a time of food, fellowship, and prayer! We'll see you there! Communion This Sunday, September 8th! Join us as we celebrate communion this Sunday during both worships. We take Communion to remind us of the sacrifice Christ paid for us on the cross! How beautiful the blood flow! Let us join together in reverence to remember the depths of God's unconditional love for His people! Refocus Life Group Leader Training This Sunday, September 8th! For you Life Group leaders - join us this Sunday, September 8th from 12:30 to 2:30 PM in the Blue Room for a time of vision and training in how to lead your life group on mission! Lunch and childcare will be provided. 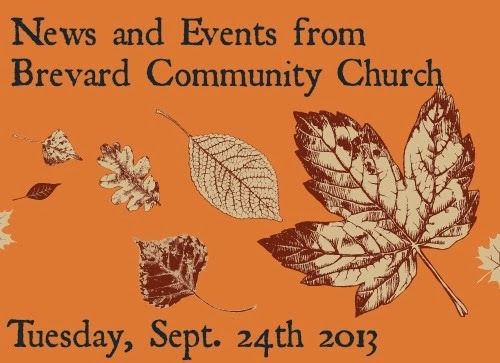 RSVP to shannon@brevardcommunity.org. Switch Small Groups Starting This Sunday, September 8th! Calling all middle and high school students! The new school year has started back and you know what that means! Small groups are just around the corner! Small groups are an incredible time for you to fellowship, have some fun, and to dive into God's Word with your peers! 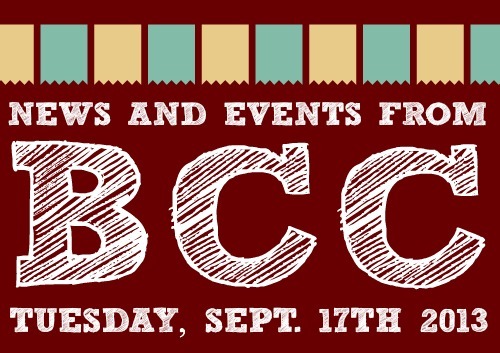 Join us at BCC on Sunday evenings from 5-7 PM starting this Sunday, September 8th! We'll see you there! 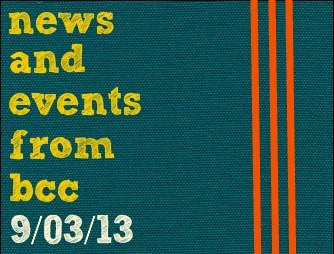 New Bible Studies at BCC! Join us this Sunday for a new study led by Jamie Sellers with Andy Stanley's "Christian" small group material, examining the characteristics Jesus used to define those who follow Him and the implications they have for believers today. Does your worldview line up with the Gospel of Jesus Christ? Join us as we explore this topic in our new 10-12 week Sunday morning bible study led by Hope Kelly and Sheila Alewine. Cost: $5 to cover printing costs. Email sheila@victorychurchproducts.com to reserve your study guide. God will never, ever give up on you! Come explore how David's life proves this promise to be true in this new Tuesday evening bible study! Sign up in the back of the Worship Center this Sunday! Come along on a life-changing journey to get to know Jesus intimately, as though you had walked with Him during His days of earthly ministry. 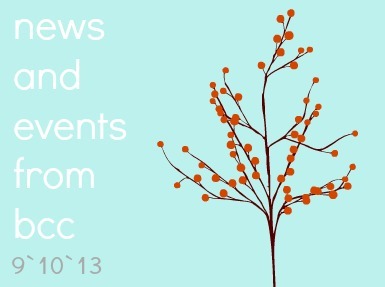 Sign up in the back of the Worship Center this Sunday!